﻿ 10 Tips for a Disneyland Vacation. 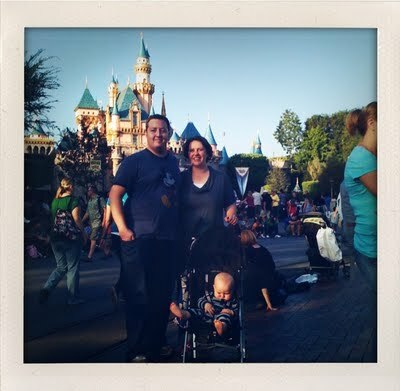 10 Tips for a Disneyland Vacation. Well, last week we went to Disneyland where we met up with my parents and all my siblings. This isn’t a very McGinn thing to do, at all. Leave it to an in-law (my brother’s wife) to suggest such a thing. But we all agreed to give it a chance. Here are ten tips and tricks that I can pass along if you’re a Disneyland newbie or a Disneyland skeptic! 1) Don’t go in the summer. Of course, this is coming from someone who hates heat. It actually got up to the 80s one of the days we were there, which was miserable to me. I think the next time I go back, I will want to go back in the middle of the California winter. That will be more up my alley. 2) Don’t pack it all into one day. Or if you do, don’t try to do absolutely everything in that one day. It will be more effective to pick your activities and really enjoy them rather than race around trying to do everything and become overtired. 3) Stay in one of the hotels across the street. We stayed at the Tropicana. It is literally across the street from the Disneyland entrance, which made going back to the hotel for children naps very easy. 4) Visit Downtown Disneyland! One night, we were all looking for a restaurant, and since we didn’t have transportation, we ended up walking around in the worst direction possible, and found no suitable restaurant, and had to walk all the way back to eat at one of the restaurants near our hotel after our long walk to nowhereland. If we’d only known that Downtown Disneyland was right there (opposite of the entrance, between California Adventure and Disneyland), we could have chosen from several great restaurants! 5) Fast Pass and Parent Pass. Who ever heard of such things? The fast pass allows you to get timed entry into certain rides so that you’re not stuck standing in line. You show up for your time slot and get to walk to the front of the line. Parent pass? Even better. Just prove that you’re switching off childcare with another adult and two adults can go to the front of the line while someone else takes care of the little one, doing other small-child-appropriate activities in the park. I honestly didn’t wait in more than 15 minutes in any one line during my entire trip! 6) Take time to enjoy the Disneyland classics. This is coming straight from Mike, the Disneyland lover. He took me through all the historical sections of Main Street, and it was actually a lot of fun (not to mention a great way to get out of the heat). One of the things I liked the most was the penny arcade where I could insert a penny and crank old-timey film viewers to see old Charlie Chaplin films. Definitely worth my penny. They made me laugh out loud. 7) Get into the park, grab a map, sit down, and read it. The map will tell you everything you need to know, like about the fast pass and parent pass. It will also tell you about the baby care center. 8) The baby care center! Stepping into this place was like stepping into the Victorian age! A matronly woman checks you in and asks which service you’re interested in (breastfeeding, pumping, changing, warming bottles, feeding, etc.). The center is stocked with hospital-esque changing beds, high chairs, etc. for all your baby care needs! Wish I’d known about this the night I was walking around everywhere trying to find a quieter bench where I could nurse Little O before his nap! 9) Try California Adventure. This place was less busy than Disneyland and was a great place to take Little O for some rides that had no lines. Also, this happened to be on the day that was in the 80s and I was dying, but they had a mini water park-ish area where I immediately soaked myself while pretending to cool down my baby. 10) Split up your days. 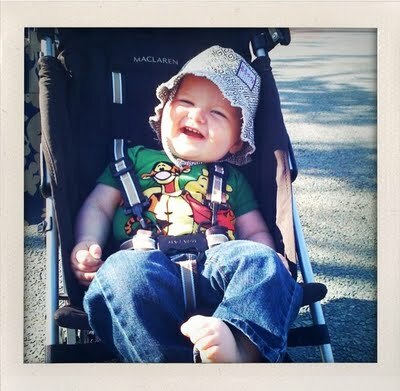 Our first day at the park was a Thursday. Then we went Friday. I was absolutely beat after Thursday, so Friday (the dreaded hot day that I may have mentioned) was really difficult. But then we went to the beach Saturday and relaxed Sunday, and by Monday I was fresh and ready to go again! 11) (Ha! I tricked you into thinking there were only 10!) Look into which attractions are weekend-only so that you don’t end up missing some things you were looking forward to! << fun halloween party ideas. We absolutely LOVE the Fast Pass and Parent Pass–pretty powerful when used in combination too! And the baby care station? Seriously the best! How did I not discover that earlier in our trip? Those women are awesome! I'm so glad you are a convert. I have a soft spot in my heart for Disney. 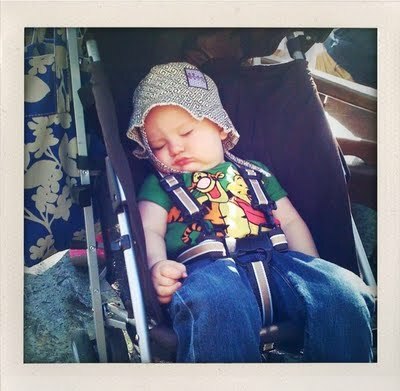 Those baby stations are fantastic–quite, air conditioned, and people at Disney are really nice about bringing babies. 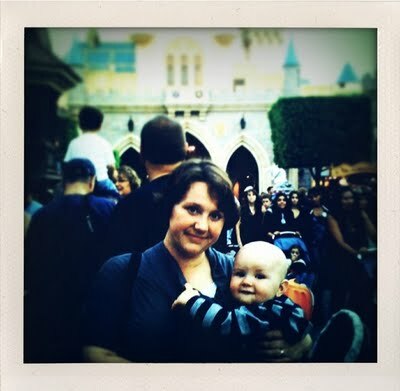 We went to Disneyworld when M was 8 months old. can't wait to go again! Hugh the brother of yours has always harassed us for going to Disneyland, making snide remarks on the side. But I'm telling you, F-U-N! So glad Mike made you go.